The city is likely to get its second sea-link on its western coast as the state government is learnt to have approved the idea of “hybrid coastal road”, which envisages sea-link from Bandra to Versova as a part of the coastal-road project. 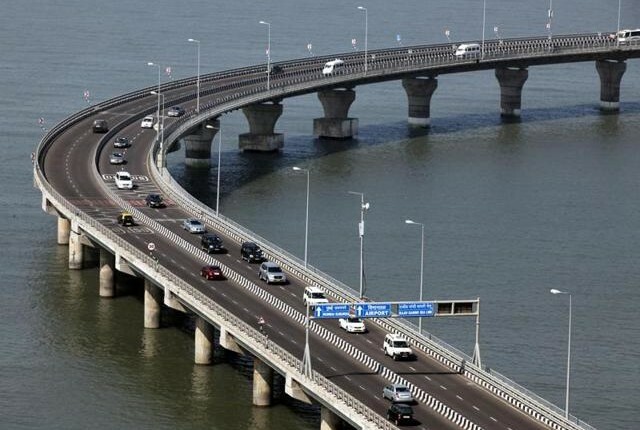 Last year, the Maharashtra State Road Development Corporation (MSRDC) had sought permission from the state to build its old project of 9-km Bandra-Versova Sea Link (BVSL) claiming it more feasible than the coastal road on the stretch. The MSRDC has made a contention that it has obtained the required permissions, including Coastal Regulation Zone (CRZ) clearance, and the construction plan is ready, thus, it can be taken up immediately. According to sources, the MSRDC has succeeded in convincing chief minister Devendra Fadnavis that the coastal road on the Bandra-Versova patch will lead to severe resistance from public because of damage to mangroves and the Juhu beach. Interestingly, the plan prepared by Brihanmumbai Municipal Corporation (BMC), the nodal agency for the coastal road, shows length of the coastal road is just 2.2 km on about 8-10km Bandra-Versova stretch, while the major portion consists of roads on stilt, on mangroves, and 5-km-long tunnel beneath the Juhu beach. 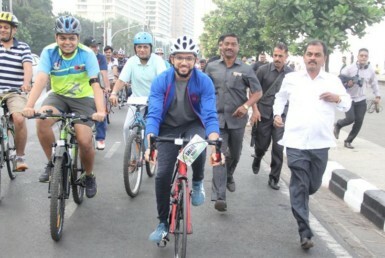 “We have brought to the notice of the chief minister that the length of the coastal road on the Bandra-Versova stretch will be quite short, and the major portion will be covered by road on the stilt and mangroves. In addition, there will be a 5-km long tunnel beneath the Juhu beach, which will increase the project cost significantly,” said an MSRDC official. The tunnel road beneath the Juhu beach already has met with stiff opposition from the locals and environmentalists. In addition, the BMC will have to face a huge opposition for its plan to build road through the mangroves and Koliwadas. 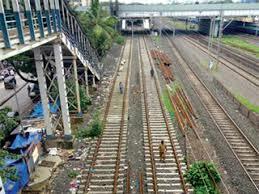 MSRDC officials told Fadnavis that there would not be any hurdle in building the new sea link. “We informed the state government that we have already received green clearances from the Union environment ministry. Moreover, we have construction plan and tender documents ready, so we can start the construction soon. On the other hand, the BMC has not even applied for the CRZ clearance. Now, the state government has asked us to invite tenders,” said the official, adding that the difference between the BMC coastal road on the stretch and BVSL was about Rs800 crore. The BVSL is pegged at around Rs9,000 crore.